The larger my family grows the more I realize the value of good equipment and tools to get all of the jobs of a busy household done and done well. I think it's about time I highlighted some of my favorites that I couldn't live without. Here's one. A few years ago I inherited a used food processor. Do you have one? 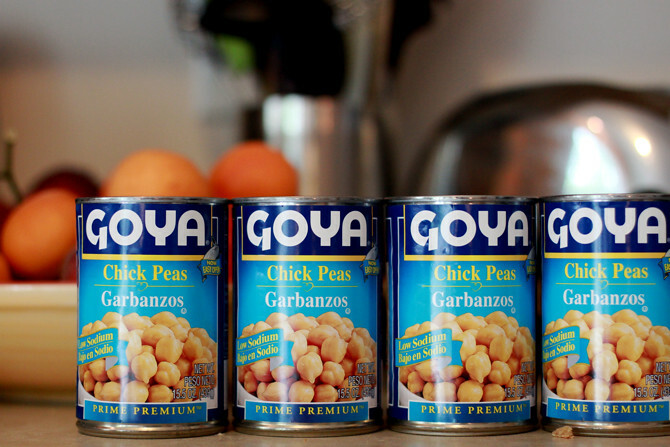 It is so versatile in the kitchen. I made that blueberry butter in two minutes and my oatmeal maple scones dough you've seen with my food processor in minutes. 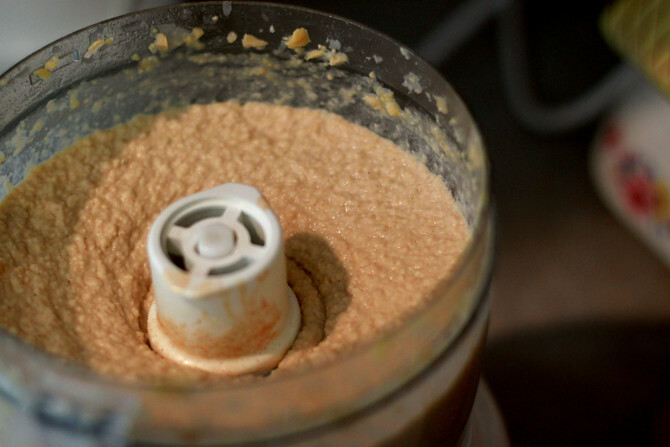 Dressings, vinaigrettes, dips, and crusts are ideal for using a food processor. You can also shred cheese, vegetables (like zucchini for bread or carrots for cake), chop nuts--all incredibly fast. It is one of the best kitchen tools for a busy mom with children tugging on her to get dinner ready. It cuts out many steps, whether it is cutting prep or assembling itself. 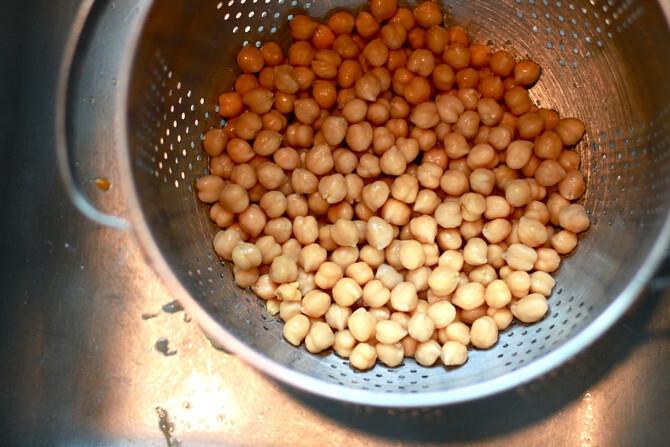 1 In a food processor, combine the mashed garlic, garbanzo beans, tahini, lemon juice, 1/2 cup water, and olive oil. Process until smooth. Add salt, starting at a half a teaspoon, to taste. 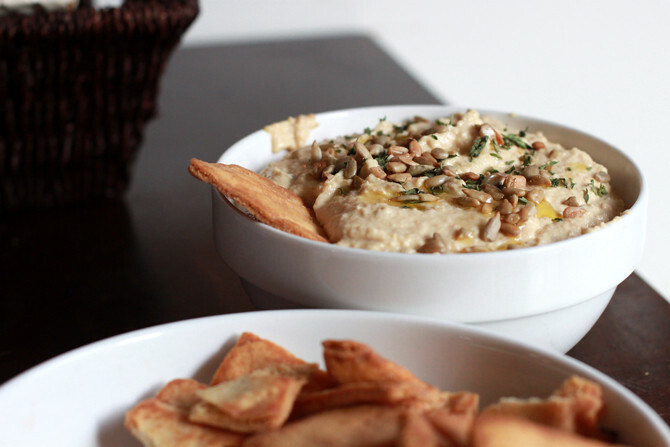 Serve with crackers, raw dip vegetables such as carrots or celery, or with pita bread. 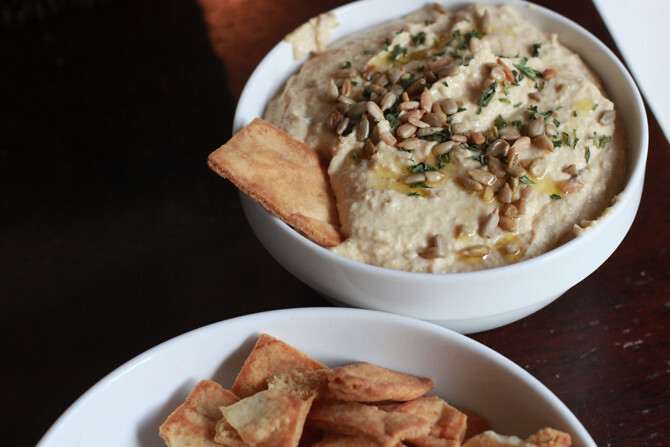 You can cut the pita bread into thin triangles, brush with olive oil and toast for 10 minutes in a 400°F oven to make pita chips with which to serve the hummus. What can't you do without in your kitchen?